Taste Mode, the latest insight report from Pearlfisher Futures, explores the key cultural, category and consumer shifts defining the food and drink agenda for the next decade, and the brands – both challenger and iconic – that are transforming the insights at the heart of this change into a reality. To launch the report, a global series of events – ‘How to Create the Food and Drink Brand of the Future’ – kicked off in New York on October 27th. 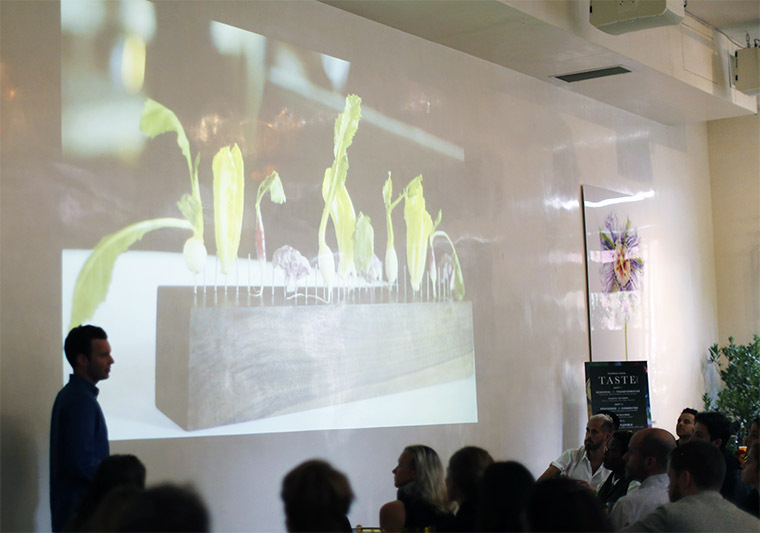 Taste Mode New York took place at the beautiful Bouley Botanical, an event space designed to excite all five senses. 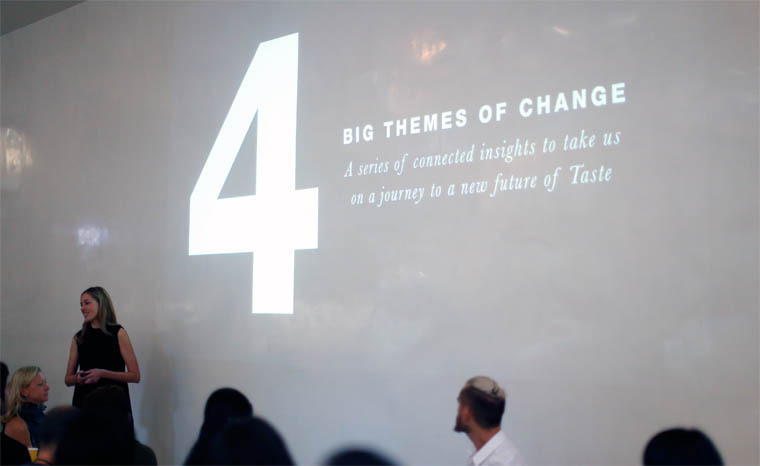 Following an opening address by Managing Director at Pearlfisher New York, Angela Hariche, the morning’s event unfolded in four sections, mirroring the four major areas of change identified in the Taste Mode report. The insight at the heart of each shift was introduced by Futures Director Sophie Maxwell and illustrated through a conceptual innovation developed by each of Pearlfisher’s four studios. Finally, a stellar lineup of speakers brought the strategic implications of the insights to life with their stories of branding, bravery and innovation. Pearlfisher Futures Director Sophie Maxwell introduced the four major cultural, consumer and category shifts defining the future of food and drink. Citing cultural tastemakers and game-changers such as Noma, Atelier Crenn, David Chang and Bompas & Parr, Sophie outlined an increasingly visceral consumer appetite for experiences, tastes and flavours that is reframing our understanding of what food is, and can be. 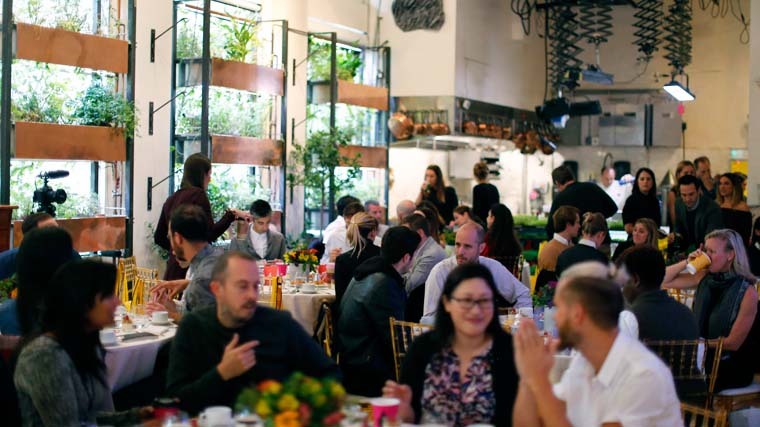 Director of Communications and Social Impact at Absolut Elyx, Tom Roberts, brought the shift around experiential branding to life with insights into how Absolut Elyx extends its brand beyond the bottle. The second shift – an overview of the emerging direction for health – explored how consumer concerns around food’s processing and complexity is giving rise to a more global awareness of nourishment, a reappraisal of ‘naturalness’ and an increasingly connected relationship between food, mood and wellness. 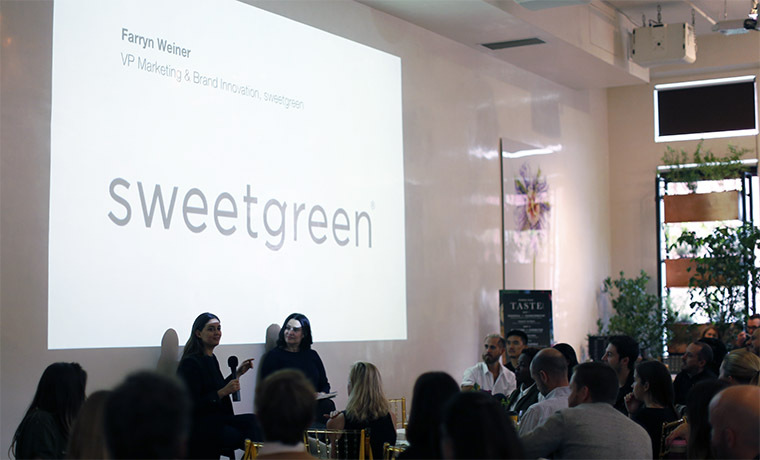 Farryn Weiner, VP of Brand and Innovation at Sweetgreen, the salad bar chain that has taken New York’s health scene by storm, framed the shift in the context of the modern consumer. “Health is no longer a trend, it’s what people expect. 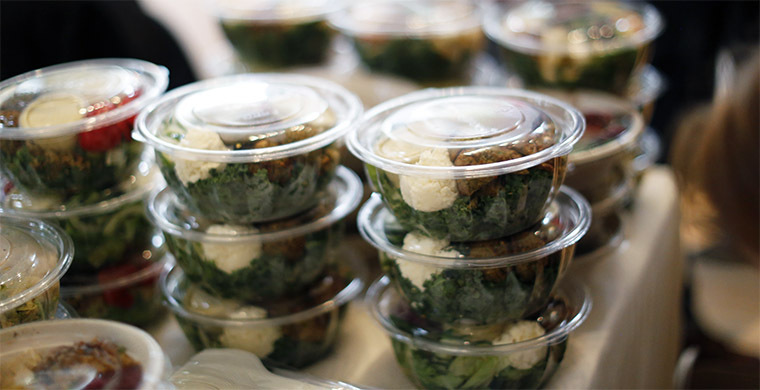 We’ve just made it more accessible, desirable and cheap for people,” said Farryn Weiner of Sweetgreen’s success. Greg Hathaway, Creative Director at meal delivery service Maple, illustrated the insights by shedding light on how Maple harnesses the disruptive power of technology and emotional leverage of branding to bring the city’s best culinary talent to thousands of hungry New Yorkers. Maple combines New York’s best chefs with high quality ingredients and rotating daily menus, delivered within 30 minutes at the tap of a button. 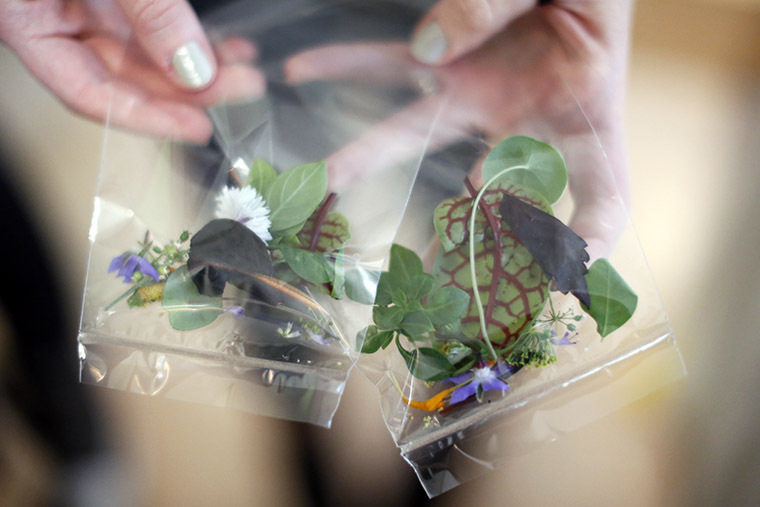 Rob Laing, founder of indoor farm Farm.One, brought the insights around alternative resources to life by explaining how Farm.One provides New York’s chefs with herbs and microgreens grown right in the centre of Manhattan’s financial district. Everyone in attendance had the opportunity to sample Farm.One’s delicious herbs, from arugula and bronze fennel to cilantro and Chinese leek. The event wrapped up with a delicious lunch of Sweetgreen salads and coconut sugar cookies from Maple. 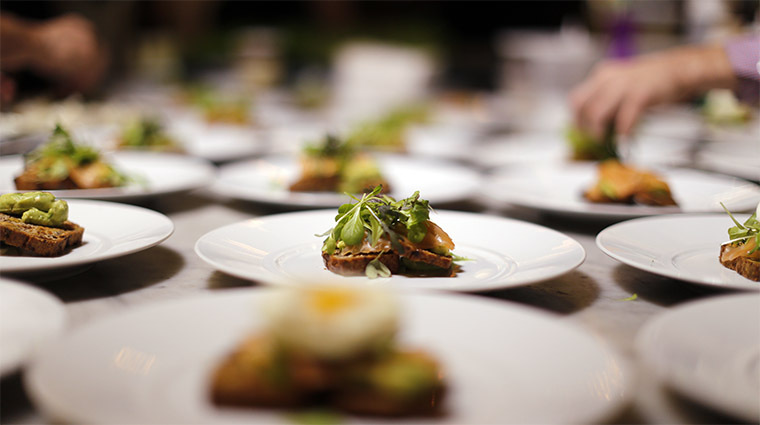 If you couldn’t attend Taste Mode New York but are interested in either purchasing a copy of the full report or having us bring the insights to you, please get in touch with presentations@pearlfisher.com.